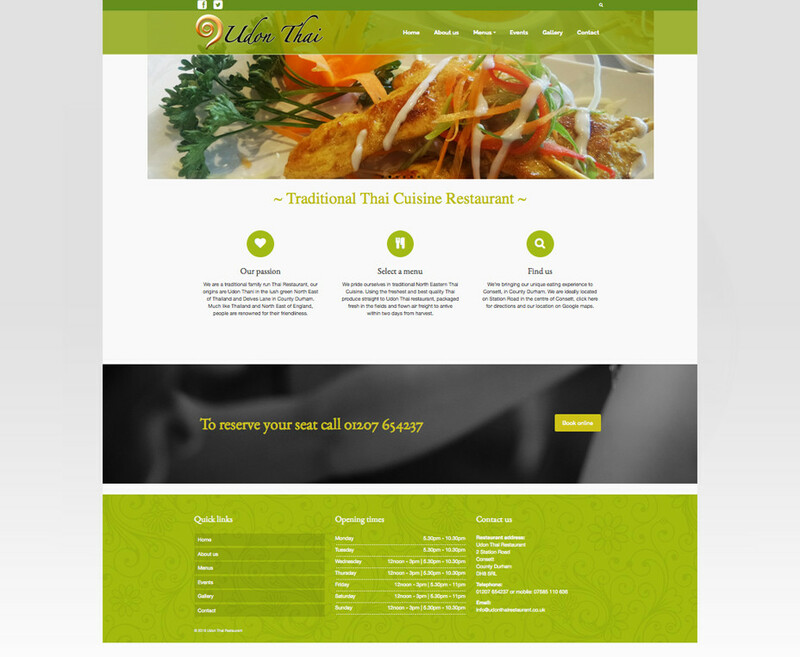 Udon Thai are a traditional family run Thai restaurant based in Consett, County Durham. As a new business, the owners Sangtong and David, wanted to put an emphasis on quality, using only the best quality Thai produce, flown direct from Thailand, within two days from harvest. 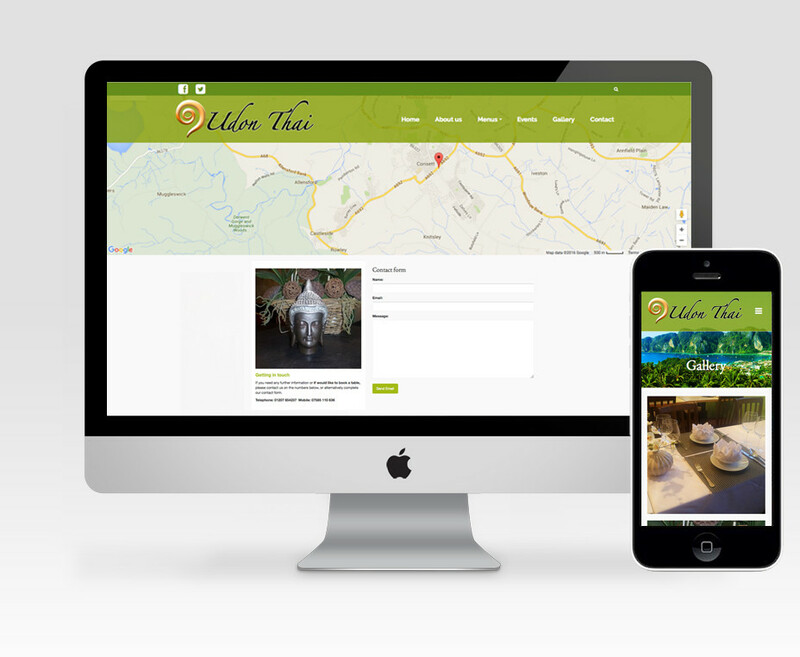 The brief was to build a website to promote the restaurant, with a focus on good photography of the various dishes. The colour scheme is influenced from the interior of the restaurant, a colour which is prevalent throughout Thailand with its lush green scenery. 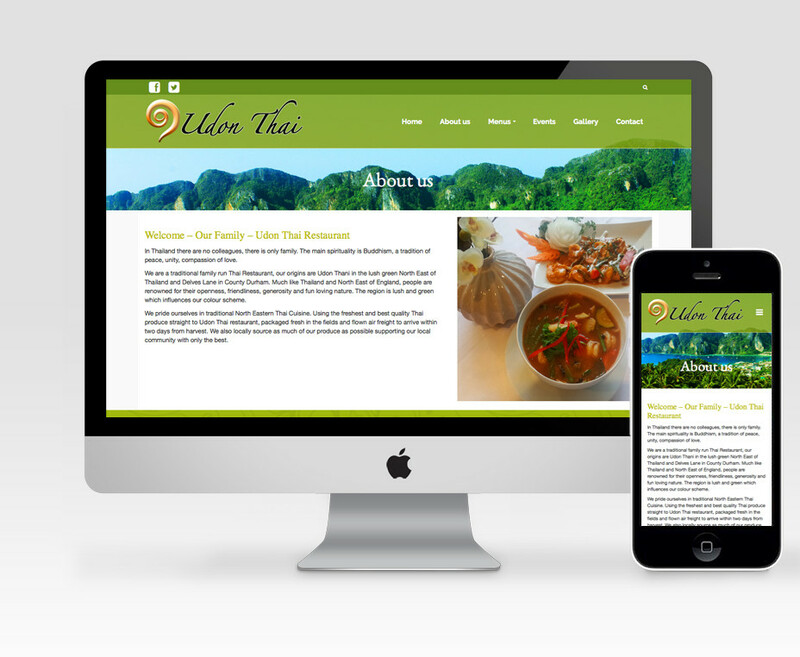 Key information about the restaurant was included along with a lifestyle blog and menu information, with bold blocks of colour to give the site a vibrant and friendly feel. The website was built using WordPress and basic training was provided so that both Sangtong or David can maintain and update certain areas of the site regularly with ease.